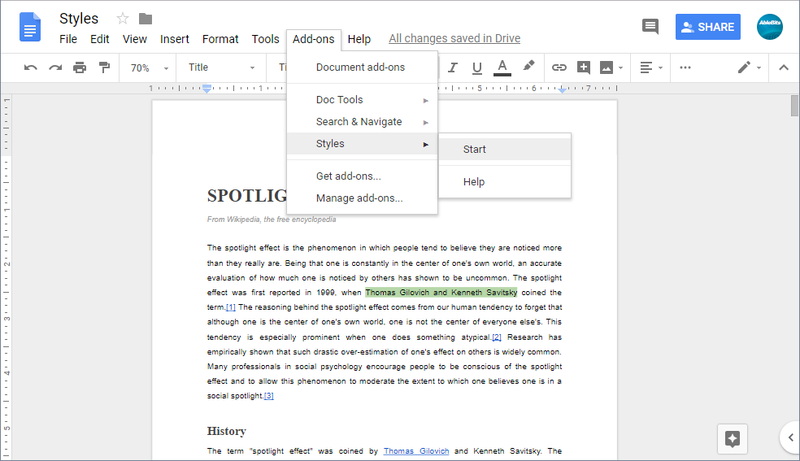 This add-on provides twenty style sets for your Google Docs. Based on their overall look, they are divided into 4 groups for better convenience. Pick any type set and apply the title, heading, and normal text style to any paragraph or to the entire document at once. This is the easiest way of changing the appearance and style of your text. Apply one of 20 default style sets to your document There are 4 groups of styles at your disposal: formal, practical, classic, and elegant. 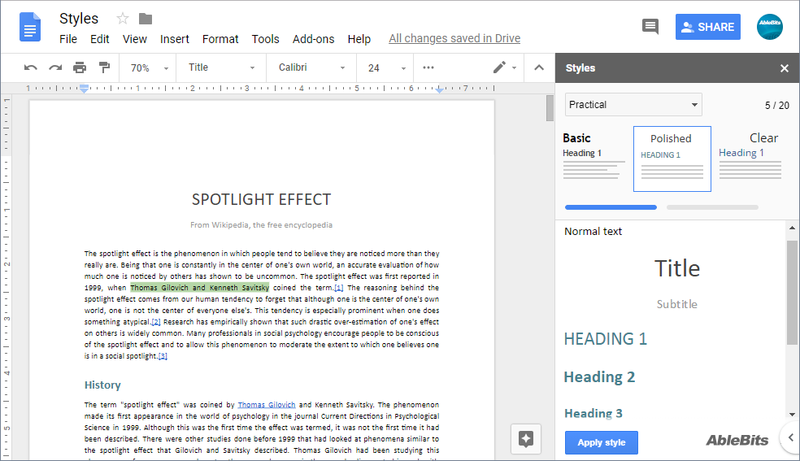 Change the formatting of any paragraph Turn all normal text to title or heading and vice versa, or switch the style of a single paragraph in a click. What is Styles and what do I need it for? As the add-on name suggests, it makes your document look uniform. Each style set consists of all the necessary elements with a unique combination of font, size, and color. 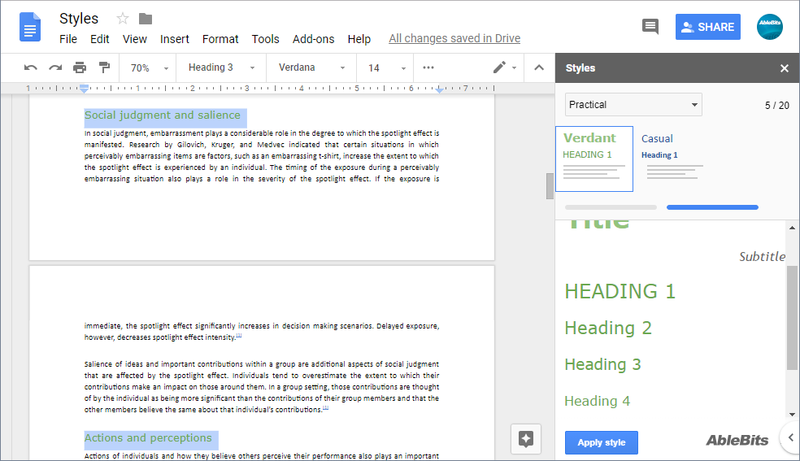 Just like with standard styles that you get in Google Docs, you can apply these elements to any paragraphs you select. 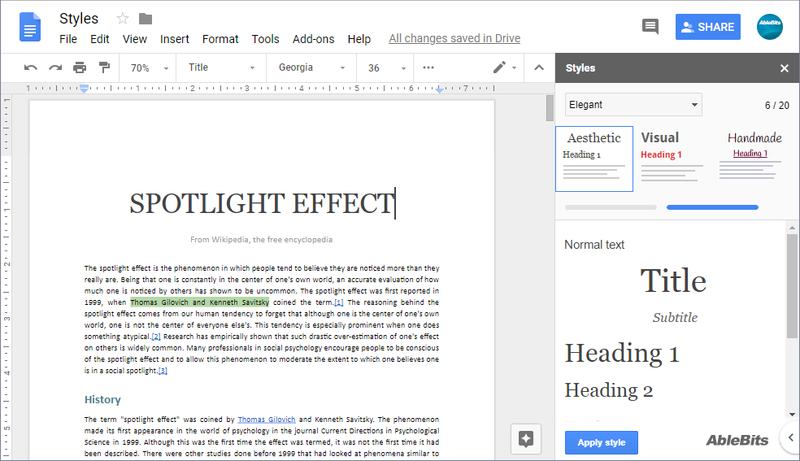 How does it differ from styling tools in Google Docs? 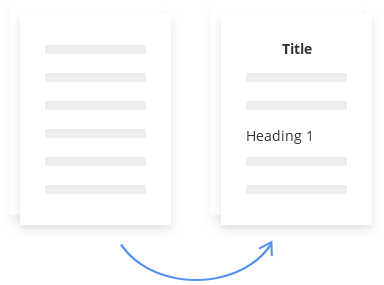 The standard styles help with the basic document structure: create a title and headings of different levels. Our add-on supplements this structure with a choice of design. 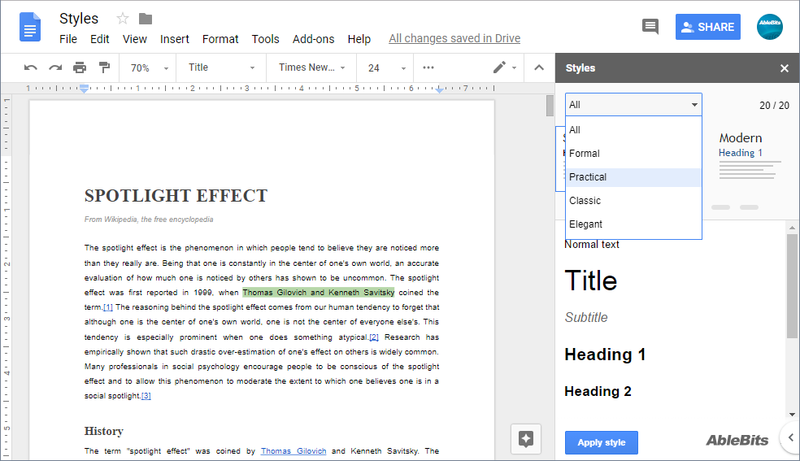 How to use Styles in Google Docs? Pick the style you'd like to use in your document. Can I preview how my data will look like before applying the style? Sure, just click on any provided formatting set and you’ll see the preview of all its elements right in the sidebar. You can try it on your document by clicking Apply style. Undo if you decide to try something else, or apply a different set right over it. I don’t want to change the entire document, I just want to alter some parts. 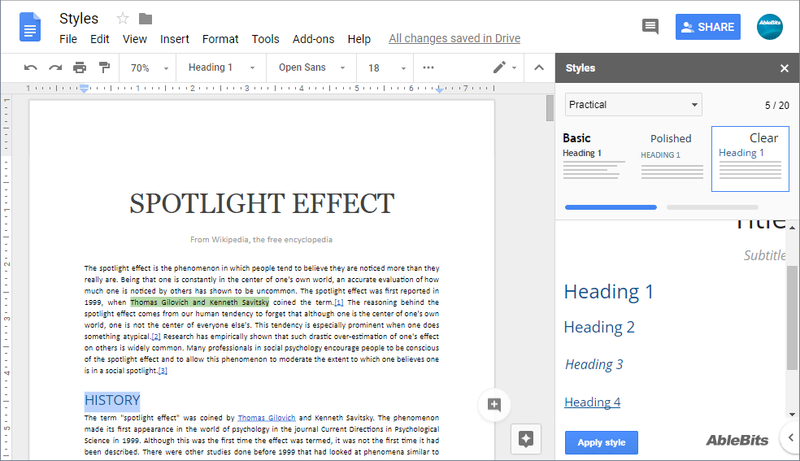 The tool lets you apply formatting to certain paragraphs only. Simply place the cursor in any line or select several paragraphs you’d like to change and click on the desired heading or any other element on the sidebar. Will I be able to format only all headings at once? Yes. Right-click any heading and pick Select all matching text from the context menu. Now all headings in your document are selected and are ready to be changed.